Downtown Orange Country, Gateway to the Inland Empire, Safest City in the West – Santa Ana is all these things, and much more! Located near the Santa Ana River in Orange County, the city is #11 on the list of most populous California cities and also top-60 in the United States (it’s also the second-most populous city in Orange County). Easily accessible from other SoCal cities (Los Angeles, Anaheim, San Diego, Riverside, etc. ), Santa Ana’s prime location is a major reason for its popularity as a destination for both California residents and those relocating from other states. What Jobs Are Available for Those with Santa Ana Forklift Certification? But those are only a few of Santa Ana’s biggest employers. The city also has numerous warehouses, construction companies, distribution centers, maintenance facilities, and much more. 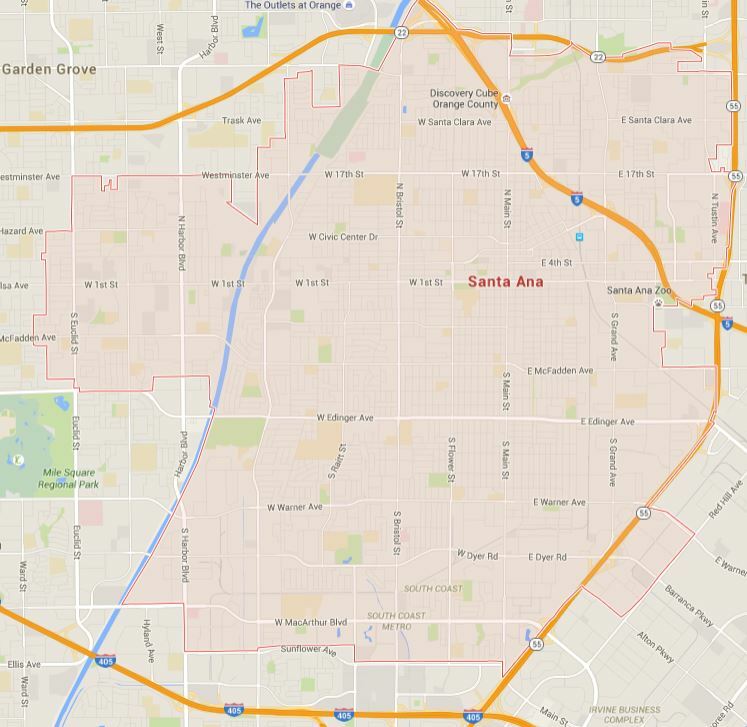 Given the constant commerce, Santa Ana is an excellent place for a forklift driver to secure a job and earn a living. That puts a premium on Santa Ana forklift certification – only the best-qualified job seekers will be considered by employers. CertifyMe.net is your best option for Santa Ana forklift training. We have an outstanding selection of forklift training classes to fit anyone’s skill or experience level. If you need to expand your own forklift safety knowledge, or your employer would like you to drive different lifts, we have the total training – and lifetime support – you need for forklift certification in Santa Ana. If you’re looking for forklift training in Santa Ana, CertifyMe.net is the best place to go. In fact, you don’t have to go anywhere; our convenient online training modules can be completed on your schedule at a price you won’t believe. Simply select the training you need. We offer warehouse forklift certification, rough terrain forklift training and also pallet jack and order picker instruction. And best of all, you’re instantly certified! No waiting around, no delays in working – just print your papers and you’re good to go! In a matter of seconds after completing your Santa Ana forklift certification, you’ll have all the documentation necessary to safely & efficiently perform your job. CertifyMe.net offer the convenience you need to complete training whenever it’s best for you – during your lunch hour, after work, and any other time that fits your schedule. We think Santa Ana forklift training is too important to fit a regular 9-to-5 schedule. Sign up with CertifyMe.net today, and gain your OSHA certification today. And best of all, your Santa Ana forklift certification travels with you! So if you end up taking a forklift job elsewhere in Orange County (or throughout the United States), your OSHA forklift training is always valid, for up to three years. Having your Santa Ana forklift certification is important when you apply for any forklift jobs in Orange County, CA, and all over Southern California! OSHA Forklift Certification in Santa Ana, CA is Easy & Affordable, Thanks to CertifyMe.net! Take the next step in your Santa Ana, CA forklift training today. CM has assisted businesses and individual forklift operators with their forklift training in Santa Ana for years. We’re one of the most popular OSHA training sources in the entire Southern California region. CertifyMe.net is a popular choice for forklift certification in Orange County, and for good reason. Our courses offer an easy 5 step process to get started – and completed – before you know it! Free lifetime renewals – CertifyMe.net is with you every step of the way, even after your initial training expires! Train the Trainer – get your own in-house OSHA safety resource with our Train the Trainer program. This is important for having the most complete forklift certification training in Orange County, CA. If you’ve ever wanted to become a safety resource at your company, or if you want to make yourself more marketable for forklift jobs in Orange County, CA, this is the program for you. Comprehensive coverage – our forklift training class covers Order Pickers (for pallet jack operation), Rough Terrain lifts and regular Warehouse forklifts. Thanks for considering CertifyMe.net as your #1 provider for Santa Ana, CA forklift training. Leverage our industry expertise to your advantage. Our training content is designed to get you up to speed with the most crucial OSHA safety standards, and also provide a well-rounded forklift training experience in Santa Ana, CA. And our ever-growing list of clients agree – nobody beats CertifyMe.net! Call us today and start your forklift certification in Santa Ana, CA. Over 28,000 companies (and counting) have used CM to bolster their forklift safety training in Santa Ana – why shouldn’t you? Give our OSHA forklift experts a call at (888) 699-4800, or check out our contact page for more information. We’re here to help with your Santa Ana forklift certification today – thanks for visiting our website!